Reeves DiVenere Wright has an experienced team of real estate professionals who can assist in all transactions including residential, commercial, industrial properties and subdivision development. We assist buyers, sellers, lenders, Realtors® and title insurance companies and can assure you of the best advice based on a thorough understanding of the transactions and properties involved. 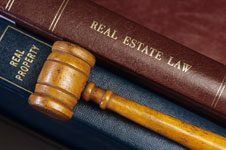 The Real Estate Lawyers Association of North Carolina is committed to promoting and protecting the attorney led system of conveying interests in real property and the accuracy of North Carolina’s public records, as well as protecting the general public of North Carolina against harmful consumer abuses and practices. Reeves DiVenere Wright is a proud member of the Real Estate Lawyers Association of North Carolina and upholds their Standards of Practice. Why choose Reeves DiVenere Wright to assist in your real estate transaction? We can help you understand your Purchase Agreement and can prepare any addendum required. We can assist in estimating the time from Purchase Agreement to Closing. We can help avoid common delays. We can help you understand closing terms. A valuable resource for all is the Real Estate Glossary available at the website of the American Land Title Association. Read, understand and complete the Purchase Agreement and any Addendum with your Realtor® and attorney. Review your Purchase Agreement with your lender to be sure the dates are feasible for inspections, appraisals, etc. Advise your Lender and Realtor® that you will be using the attorneys at Reeves DiVenere Wright to close your transaction. Determine what type of deed you will need and how you wish to take title, for example: tenants by the entirety, tenants in common, joint tenants with rights of survivorship, etc. 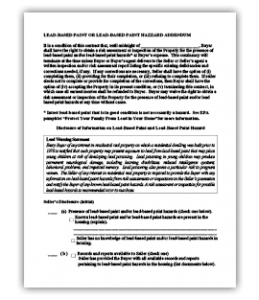 Obtain the Seller’s completed Residential Property Disclosure and Lead Based Paint Disclosure Form (if applicable). Contact a homeowner’s insurance carrier; obtain a quote for coverage and a binder for coverage to be paid at closing. Read, understand and evaluate the Purchase Agreement and any Addendum presented by the Buyer, including contingencies such as financing, inspections, etc., and how they impact the transaction. Locate the title insurance policy issued to you when you purchased your property. Your policy may allow a discount to your Buyer. Locate details of current mortgages to be paid off at closing including dates, original amount, and account numbers. 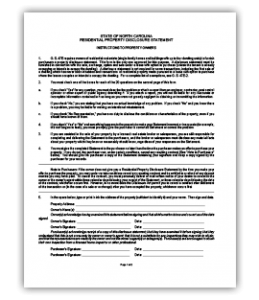 You will be required to sign a Seller Payoff Authorization Form in order for Reeves DiVenere Wright to obtain a statement indicating a certified payoff to be used on the Settlement Statement for closing. Complete the Seller’s Residential Property Disclosure and Lead Based Paint Disclosure forms, if applicable. Contact Reeves DiVenere Wright to prepare the required documents for sale of your property. These will include a General Warranty Deed, Legal Description, IRS Form 1099, Lien Affidavit and Bill of Sale for Personal Property. Why choose Reeves DiVenere Wright to assist you in the closing of your clients’ transactions? Save your time on the telephone: Our office will coordinate all parties, including buyer, seller, lender, for closing, whether parties are present or if this is a mail away closing. Save your time in the car: Our state of the art technology allows us to deliver electronic closing documents from lenders, local, regional and national. Save your time at the bank: Checks for closing delivered to our office are scanned using Remote Deposit Capture for instant credit to our Trust Account which allows us to disburse proceeds checks immediately after closing. Loan funds are received by wire. Sellers’ net sales proceeds are wired directly from our office saving the time delay of courier services or regular mail. Call Reeves DiVenere Wright to schedule a closing date and fax or email a copy of the Purchase Agreement. Obtain Seller’s title insurance policy issued at the time they purchased. A discount may be available to your Buyer based on the value of the prior policy. 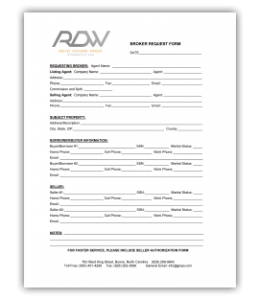 Provide all contact information on Buyer and Seller to Reeves DiVenere Wright using the Broker Request Form. 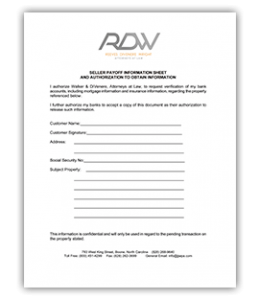 Provide Seller Authorization Form to Reeves DiVenere Wright. Provide Buyer’s Lender information to Reeves DiVenere Wright. Why choose Reeves DiVenere Wright? Reeves DiVenere Wright can assist you by providing secure, quality title work, quick turn-around time, document review with our experienced title examiners and can resolve issues with our problem solving underwriting team. 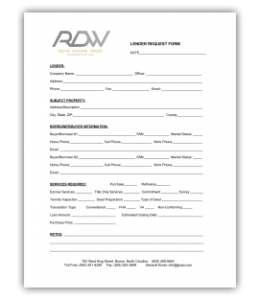 Contact Reeves DiVenere Wright and provide a completed Lender Request Form. Reeves DiVenere Wright will coordinate all aspects of closing, including providing copies of Purchase Agreement, exhibits, surveys, title insurance commitments and binders, deed chains and any other required documentation for lender approval. Reeves DiVenere Wright can work with you through all stages of subdivision, condominium and townhouse development throughout the High Country. We have the expertise to coordinate your project from the preparation of Public Offering Statements through to the recording of the final Declaration of Restrictions.